Welcome to RUGGEDTOW.COM, a division of Susquehanna Wire Rope & Rigging, Inc. We are proud to offer the safest and best quality towing products including towing straps, tow cables, lifting straps, lifting chains and much more. Our commitment to quality is the highest in the industry. Whether it's our RUGGED WEAVE webbing or our top quality chain and tie-down products, RUGGEDTOW is your one-stop source to all of your towing hardware solutions. Welcome! Our Wire Rope Slings are pre-made and certified with metal indicators. Offering multiple lengths and sizes, we have a large variety to fit your needs. Custom configurations are available upon request. Also pre-made and certified, our Chain Slings are built to last. Looking for single-, double-, triple- or quadruple-leg chain slings, GRADE 80 or 100? Find a variety of styles from both domestic and quality import suppliers--even build your own custom slings with GRADE 80 and GRADE 100 chain and components sold separately. When it comes to lifting slings, we've got it all! All of our synthetic Nylon Lifting Slings are handmade in the USA, sewn with nothing but the strongest material available on the market. We carry eye-and-eye and endless-round slings in multiple lengths, sizes, and plys. 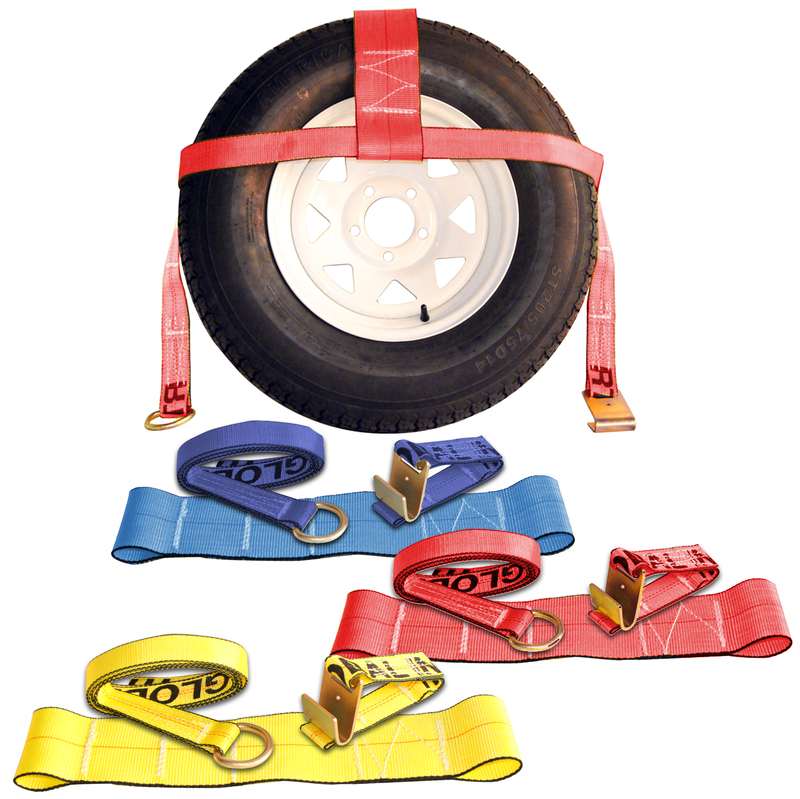 The difference between regular tow straps and our RUGGEDTOW straps is all in the strength. Our Rugged Weave webbing is the newest, most innovative material, specifically designed to provide your straps with greater abrasion resistance and overall durability. We hand-sew our straps with thread that is 75% stronger than other tack machine sewn straps, ultimately giving your straps longer lasting life! All of our products feature FREE SHIPPING to the greater 48 states--any size, any order, free shipping! Also, look for quantity discounts on select products, including GRADE 70, 80, and 100 bulk chain, bulk wire rope, and more! We guarantee safe, reliable, and quality towing equipment, but if you would like to return or exchange an item, please view our customer-friendly shipping and handling instructions to learn how.